Rock formations on the coast. A 19-day expedition program onboard the MS Nordnorge featuring expert guides, lectures and PolarCirkel boat landings. 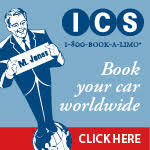 Day 1: Depart the U.S. – Leave on your overnight flight for Buenos Aires. Penguins running from crashing waves in West Falklands. Days 5-6: West Falkland Islands-Islas Malvinas – After a day’s sail, you reach the westernmost settled outposts in the Falklands. The sheep graze alongside immense colonies of albatross and rockhopper, king and macaroni penguins. A visit to one of these homesteads often includes an invitation for a cup of tea and a chance to meet those who have chosen to live on the edge of Antarctica. 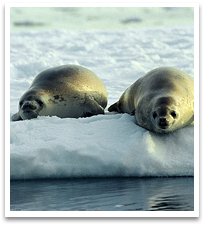 Crabeater seals on some floating ice. Whaler’s Bay, on Deception Island, with its warm springs and black volcanic sand. 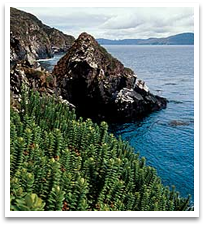 Half Moon Island, a crescent-shaped collection of islets sharing a sweep of shingle beach, is a rookery for chinstrap penguins, and home to kelp gulls, terns, skuas and sheathbills. Yankee Harbor, home to a variety of seals and an estimated 4,000 gentoo penguin pairs. It is a common feeding area for whales as well. Almirante Brown, in Paradise Harbor has glorious scenery of snowy peaks, ice cliffs and sculpted bergs. Port Lockroy, is one of the top tourist sites in Antarctica, as well as an important British base, where postcards postmarked “Antarctica” can be purchased. Neko Harbor’s water has a fine mirror finish, flecked with bits of berg. There is an icy hush to the place, broken only by honking penguins and the rumble of glaciers calving into the sea. Petermann Island is inhabited by the southernmost colony of gentoo penguins, a rookery of Adélie penguins and blue-eyed shags. Cuverville Island, boasting the largest known colony of gentoo penguins in the Antarctic Peninsula. Wilhelmina Bay, feeding ground for whales and seals. Antarctic Sound, where huge, mile-long tabular icebergs can be seen. 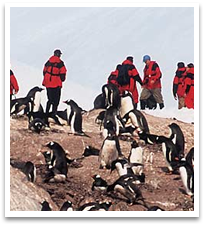 The sound is also home to an estimated half-million Adélie penguins as well as gentoo penguins, leopard seals, and killer whales. Brown Bluff, on the coast of the Antarctic Sound at the tip of the Antarctic Peninsula. 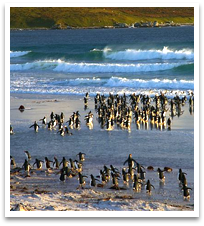 Adélie penguins, gentoo penguins, kelp gulls, and Cape petrels can be found here and Weddell seals are regular visitors. Day 19: Arrive In The U.S.
For more information, or to make a reservation, please contact our Hurtigruten expert, Margreet Pettersen.Margreet may be reached at 206-780-5010 or click to email Margreet.